Markets go down as well as up and good times don’t last forever. In preparation for Sorted Money Week 2018 the Financial Markets Authority (FMA) is launching an online quiz to help younger KiwiSaver members understand how to react when investments rise and fall in stormy markets. The FMA is playing its part as one of more than 200 organisations involved in the Commission for Financial Capability’s Money Week. More than 800 activities and events are planned around this year’s theme ‘Weather the storm – financial resilience’. Simone Robbers, FMA’s Acting Director of External Communications and Investor Capability, says: “Our research on investor confidence shows that those who are more knowledgeable and engaged with their investment are more confident. KiwiSaver members under the age of 30 are the least knowledgeable and confident about their investments. It’s normal for the value of investments to rise and fall. You can prepare for downturns in financial markets by choosing the right fund for when you need the money. Lower-risk funds are better if you need the money in the short-term (3-7 years) – for example, if you are planning to use the money for a deposit on a first home. Higher-risk funds are better if you don’t need the money for many years, for example, until retirement. Keep contributing. Your contributions are buying assets at a lower price during a downturn. 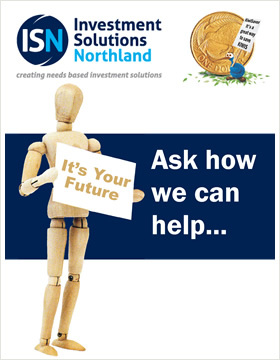 Get help and advice before making any investment changes. Switching from a higher-risk fund into a lower-risk fund during a market downturn means you lock in any losses. Earlier this year the FMA promoted a campaign encouraging young women who are KiwiSaver members to check their statements and understand their fees. The quiz will be promoted through social media and can be found here.